With handsome styling, top-of-the-line amenities and plenty of under the hood vigor, the second-generation Lincoln MKX continues to be a popular choice among Grapevine luxury car shoppers. 2017 Lincoln MKX reviews agree that the spacious SUV exceeds expectations, offering impressive standard equipment and a variety of tempting upgrades, including a turbo engine. Following a full redesign last model year, the 2017 Lincoln MKX carries over with very few changes. To learn more about the latest incarnation of the luxury SUV, continue reading our review below. The Lincoln MKX makes remarkable use of space inside its cabin, offering plenty of legroom for all five passengers, as well as 37.3 cubic feet of cargo space behind the rear seats. Standard features like rear privacy glass, heated front seats, a reclining second row, dual-zone automatic climate control and active noise cancellation ensure that occupants stay comfortable. 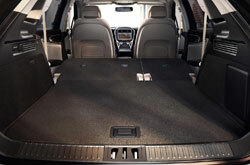 Plus, buyers can opt for stand-alone options like 22-way-adjustable front seats and a rear-seat entertainment system. The 2017 Lincoln MKX in Grapevine comes in four trims: Premiere, Select, Reserve and Lincoln Black Label. The Premiere offers quite a bit of appointments, including the above features, plus imitation-leather seating, driver-seat memory, Sync 3 infotainment, Bluetooth streaming and a 10-speaker audio system. Moving on up the trim line-up, 2017 Lincoln MKX shoppers can outfit their SUV with even more amenities from a hands-free power liftgate and leather seating (Select) to ventilated front seats and a panoramic sunroof (Reserve). 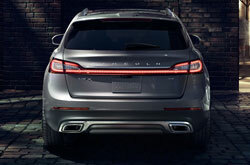 The top-tier Lincoln Black Label MKX is the pinnacle of luxury driving. Each model comes with a choice of three design schemes, as well as a simulated-suede headliner, premium leather upholstery and a 19-speaker surround-sound system. Whether buyers opt for the standard 3.7-liter V6 or the available turbocharged 2.7-liter V6, they are sure to be satisfied with "solid power and a suitably refined feel," according to The Car Connection's 2017 Lincoln MKX review. The standard 3.7L manages 303 horsepower and 278 pound-feet of torque, while the turbo 2.7L serves up a stellar 335 hp and 280 pound-feet of torque. Both models feature a six-speed automatic transmission along with front-wheel drive, although all-wheel drive is available. The 2017 Lincoln MKX near Dallas boasts a NHTSA 5-Star Overall safety rating, along with an IIHS Top Safety Pick award, making it a premier choice for families in Grapevine. Starting on the entry-level Premiere model, the Lincoln MKX is outfitted with a rearview camera, rear parking sensors and integrated blind-spot mirrors, which all help to prevent avoidable collisions. Parents with teen drivers will also appreciate the standard MyKey feature. Those seeking the latest in semi-autonomous technology are sure to appreciate that a blind spot warning system with rear cross-traffic alert, drowsy driver warning, lane departure warning and intervention, and collision mitigation are also available. Please call 866-271-3479 for further assistance. 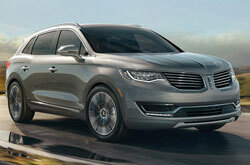 The LINCOLN MKX Is Waiting for You! If you're shopping for the 2017 Lexus RX 350, Cadillac SRX and the BMW X3 in the Dallas area, you should also take the 2017 LINCOLN MKX into consideration. 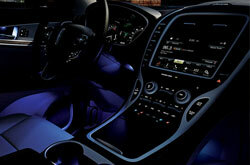 Offering an up-for-anything persona and trendy on-board technologies, it could be just what you need from a vehicle. 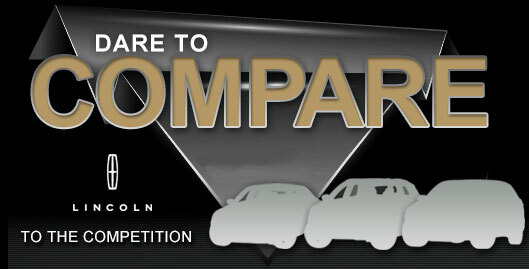 Use our review and try out the comparison tool to see if the 2017 LINCOLN MKX is suited for you. Also view financing and leasing offers while you're here! 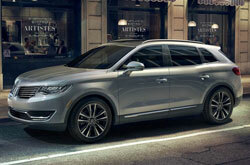 Want to own a LINCOLN MKX and looking for attractive lease offers? Then make sure you visit us at your earliest convenience! We've provided this 2017 LINCOLN MKX review because it's important to make an educated decision when you're deciding on a car. Stop by to love a test drive at Grapevine Lincoln, where you can get to know the LINCOLN MKX for yourself. Check out the included video to see its cabin amenities before you stop by! *Get Today's Price is available to all customers and can also be obtained by calling or coming into the dealership today. Purchase prices do not include tax, title, license and $150.00 doc fee. Prices include the listed rebates and incentives. Please verify all information. We are not responsible for typographical, technical, or misprint errors. Inventory is subject to prior sale. Contact us via phone or email for more details. *MPG Based on 2017 EPA mileage ratings. Use for comparison purposes only. Your mileage will vary depending on driving conditions, how you drive and maintain your vehicle, battery-pack age/condition, and other factors.